New Macquarie University research shows parents can help improve their children’s literacy and numeracy skills by having a greater influence on the type of games they play in their free time. With the summer holidays around the corner, the study indicates that the type of toys or activities adults present to children can influence what they want to learn about – and that children are influenced by what adults are doing in the background while we think they’re not watching. The researchers exposed four-year-olds to demonstrations of literacy and numeracy in everyday life, while a control group had the same materials to play with but no demonstrations. While children were doing other things, parents and educators did activities linked to literacy and numeracy in the background – and after just four weeks, the children began to play more with literacy and numeracy concepts, and their reading abilities improved. Lead researcher Dr Yeshe Colliver, Lecturer at Macquarie University’s Institute of Early Childhood, said the study aimed to reverse the traditional thinking that the best way for children to learn is to link education to their existing interests. “We know early learning is centred around the child’s interests – that is, for children to learn things, they have to be interested in them,” Dr Colliver said. “Playing is a key way for children to begin learning, but it’s hard to see what benefit playing with Spiderman or Barbie can bring. Even more difficult is creating a link between a super hero and, say, mathematics. The basis of the study comes from the idea that children want to learn the skills they see as important in society, with the theory that children who observed problem-solving literacy and numeracy activities among adults would come to value those skills and want to play and therefore learn about them. “We tapped into the fact that what children are interested in is a reflection of the world around them, but we didn’t know if altering what they are exposed to would shape what they are interested in,” Dr Colliver added. “Our findings indicate the common view that parents and educators have little influence on what kids are interested in is untrue. “So as Christmas approaches, educational toys – such as chalkboards, coloured blocks for patterning or tool sets – may be a good option after all, if adults also use similar tools in everyday life. Colliver, Yeshe; Arguel, Amaël. 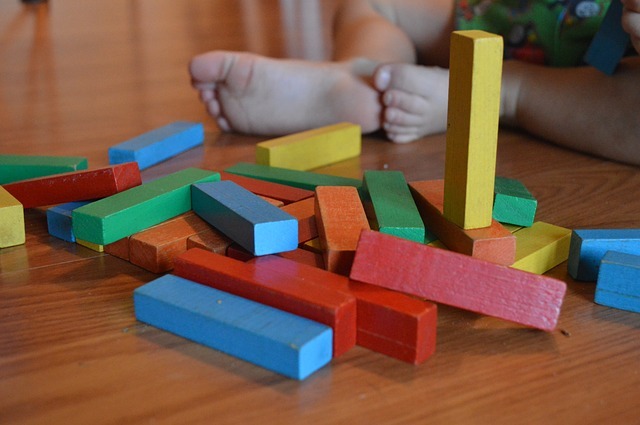 Following in our footsteps: How adult demonstrations of literacy and numeracy can influence children’s spontaneous play. Early Child Development and Care. October 2016.